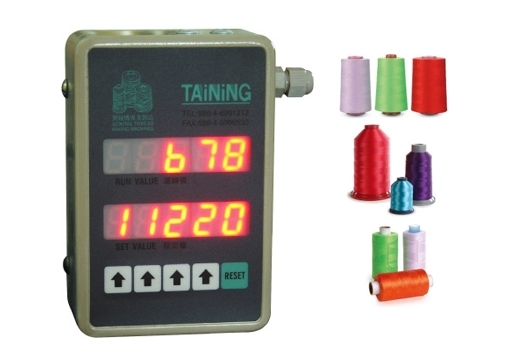 Micro Computer Yarn Meter(TN-16C) - Taining Machine Industries Co., Ltd.
Large LED display for easy reading. Input by buttons for easy setting. Max. input value 99,999 meters. Running & setting values displayed simultaneously for easy checking the winding length. Auto stop when yarn breaking. Individual spindle control & operation. Auto stop & Auto reset when finish winding, Suitable for length and quantity measurement.